PART-TIME AND FULL TIME POSITIONS AVAILABLE. EXPERIENCE WITH FURNITURE IS NOT MANDATORY. YOU WILL BE TRAINED ON THE JOB. THE RIGHT ATTITUDE IS REQUIRED. 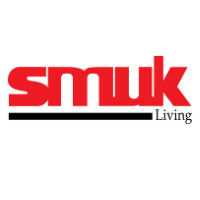 Smuk Living is a Scandinavian Design Store. Our clients include home owners, designers (interior, landscape, architects), developers, hoteliers, restauranteurs and corporations. Attend to walk in clients – understand their needs and recommend relevant products. Attend to corporate enquiries for furniture. Assist with display and stock-keeping of new product/shipment arrivals. Assist with merchandise display . Maintain outstanding store condition and visual merchandising standards.